It's that time of the year again. President Barack Obama arrived in Northern Ireland Monday morning for the 39th Summit of the Group Of Eight (G8), where the group members will discuss Syria, trade, and the global economy. 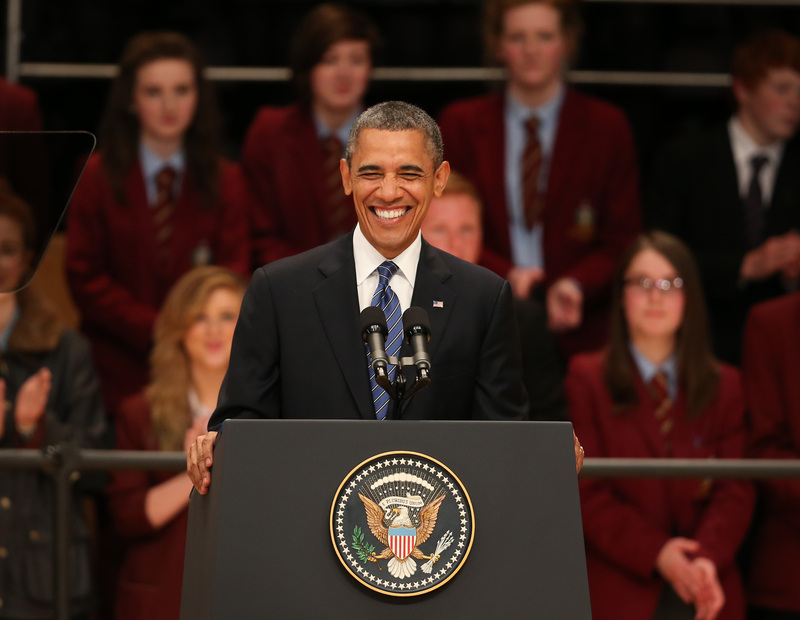 For those of you that are G8 buffs, you can watch live coverage of the President's visit here. At the top of everyone's list of issues is the conflict in Syria. President Obama will meet with Russian President Vladimir Putin privately on Monday, to discuss Friday’s announcement that the U.S intends to supply Syrian rebels with direct military aid. President Putin remains firmly in support of Bashar Al-Assad’s regime, which he says is a “legitimate government." Germany has also expressed concern over President Obama’s intention to arm the opposition, while William Hague, the UK Foreign secretary, says there is just no “palatable option” for resolving the conflict in Syria. President Obama and UK Prime Minister David Cameron, who is hosting the G8 summit this year, will most likely also have to answer questions concerning the recent National Security Agency scandal. At a briefing on Monday, the Chinese Foreign Ministry spokeswoman Hua Chunying demanded that Washington "give the global community a necessary explanation" for the wide-scale surveillance programs leaked last week, and on Sunday, the Guardian revealed that British intelligence agencies had, via the NSA, spied on the communications of foreign politicians at two G20 meetings in London in 2009. The other members of the G8—Canada, Japan, France, Italy, Germany and Russia—are probably waiting to hear what Britain and the U.S have to say for themselves.